Social media’s rise in popularity has sparked some concerns for the healthcare industry in the past, but it seems that a happy balance has been found between privacy and outreach. Over the past several years, the number of healthcare professionals using social media has grown significantly, and their timing is perfect. According to research by the Pew Internet Project, 72 percent of Internet users searched online for health information in the past year. Whether they’re looking up health insurance options, locating the best nearby hospital, or just educating themselves about particular medications, consumers have forced the healthcare industry to embrace social platforms. At the same time, healthcare professional and institutions are using different social media tools to reach, educate, and inspire their patients. Let’s look at how they’re doing it. Hospitals are making incredible use of Twitter’s real-time stream. Live-tweeting a risky procedure such as brain surgery might seem crazy, but for the medical team at Henry Ford Hospital in Detroit it was an incredibly rewarding and enlightening experience. While performing surgery on a patient, doctors discussed the procedure with more than 1,900 people following along on Twitter. 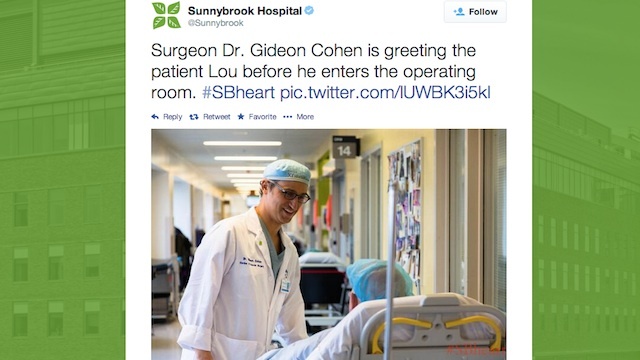 More recently, Sunnybrook Hospital in Toronto took to the platform to live tweet heart surgery. Not only does this help to demystify what happens in the operating room, but it also helps raise awareness about specific medical conditions. Twitter followers were able to tweet questions to doctors in real-time and get immediate answers right from the operating room in both cases. 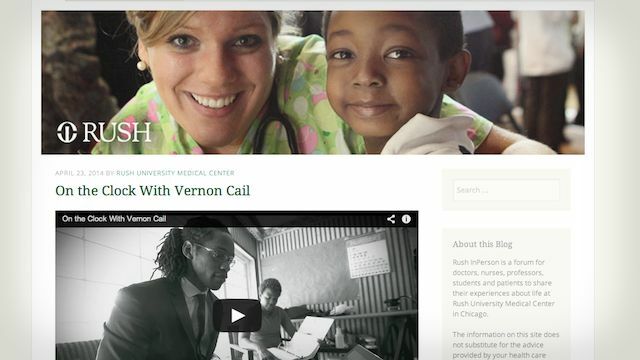 In addition to managing a presence on Twitter and Facebook, the Rush University Medical Center also gets personal through blogging. Rush InPerson is a forum for doctors, nurses, professors, students, and patients to share their experiences about life at the medical center in Chicago. The posts include interviews with hospital staff, patient testimonials, historical updates, and other valuable information for patients. Rush also manages a separate blog which is more of a resource for journalists, bloggers, and other individuals interested in health care updates from the medical center. Rather than showcasing personal updates from actual team members, however, the Rush News Blog is operated by the Rush Media Relations team. Managing two separate blogs might not be feasible for every business, but it’s a great way to highlight different voices while making sure the right information is shared with the appropriate audience. It shouldn’t come as a surprise that we’ve included the Mayo Clinic, which has long been seen as the flagship example for social media in the health care industry. Not only was it one of the first to offer online resources for patients, but it also launched the Mayo Clinic Center for Social Media, a program aimed at improving the use social networks for better global health. 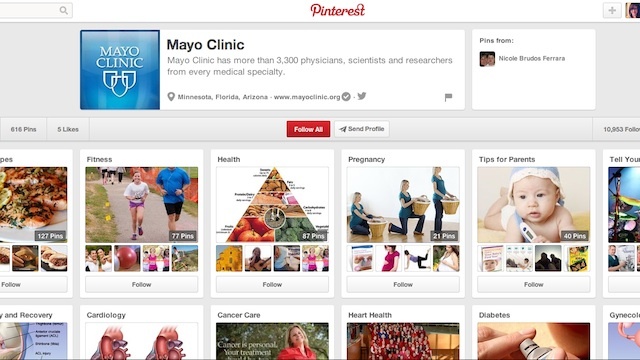 In addition to being active on Facebook, Twitter, and YouTube, the Mayo Clinic has also adopted newer services like Pinterest into its outreach strategy. The brand has amassed almost 11,000 followers on Pinterest with 21 boards and more than 600 Pins. The variety of its Pins shows that it can appeal to a wide range of interests — from general health and fitness to more specific conditions like diabetes and concussions. Not every healthcare-related company has time to write long-form articles or develop an in-depth, multi-platform social media strategy. But that doesn’t mean you can’t take advantage of any form of social media. 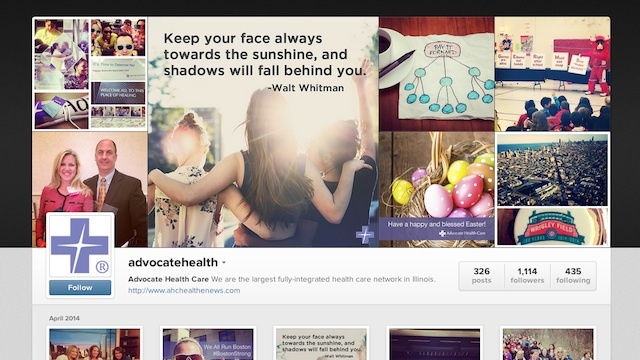 After having success with Pinterest, Advocate Health Care turned to Instagram as the next logical step for its outreach strategy. The brand’s first major campaign, #StoriesoftheGirls, coincided with Breast Cancer Awareness month and encouraged women to upload photos of their “best girl moments” using the hashtag. The goal of this campaign was to raise awareness for breast cancer and prevention, as well as Advocate’s services. “We knew being on Instagram would be an easy way to get women to share their pictures,” explained Stephanie Johnson, Advocate’s director of public affairs. Within the first week, more than 100 women had uploaded photos. Not only did it help to drive awareness, but it also gave Advocate a better look at who its patients are. These are only a handful of the ways the healthcare industry is using social media to connect with patients and provide ongoing education to the public. As social media continues to evolve, its adoption by health professionals and patients will only grow. Make sure that you’re ready to grow with them by understanding not only how the public consumers health information, but what type of information they’re looking for and on which platform.